Thought the megapixel wars were over? 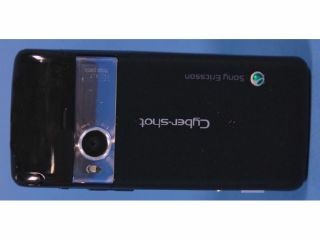 Think again - Sony Ericsson is releasing a 16MP cameraphone in the new year. Although only (initially) destined for Japan, the new handset has sashayed through the FCC and comes with a 1GHz Snapdragon processor, what looks like a touchscreen atop a slide-out portrait keyboard. However, despite the powerful processor on board, there's no Android OS on show here, merely a Sony Ericsson proprietary system, so hopefully that camera is the thing that will be sucking the CPU power. Other little snippets about the phone - it's apparently waterproof, has a back-lit sensor (so a whopping ISO level of 12800 is possible) and comes with the usual Wi-Fi, GPS and Bluetooth gubbins, as well as a microSD slot. You can check out the Japanese-English user manual over at the FCC, which also has some unattractive pictures of a phone that looks like it has hopped straight over from 2007. Is it coming to the UK? Probably not - the Bravia logo in the middle is a big hint that the Sony Ericsson Cybershot S006 is destined to remain on Japanese shores. But if the gadget-mental country tells us anything, it's what's coming next for our phones, so expect round 2,321 of the megapixel wars to start next year.